So what is a compound exercise? It’s an exercise that works multiple muscle groups at the same time. Compound exercises are perfect for building strength. Normally my workouts consist of both compound and isolation exercises but I’m strapped for time at the moment so I’ve got this new workout that consists of compound exercises only. For me it’s tough and challenging but it’s building strength and due to the intensity of the exercises I’m only doing this 3 times a week so able to rest more or spend more time on cardio. 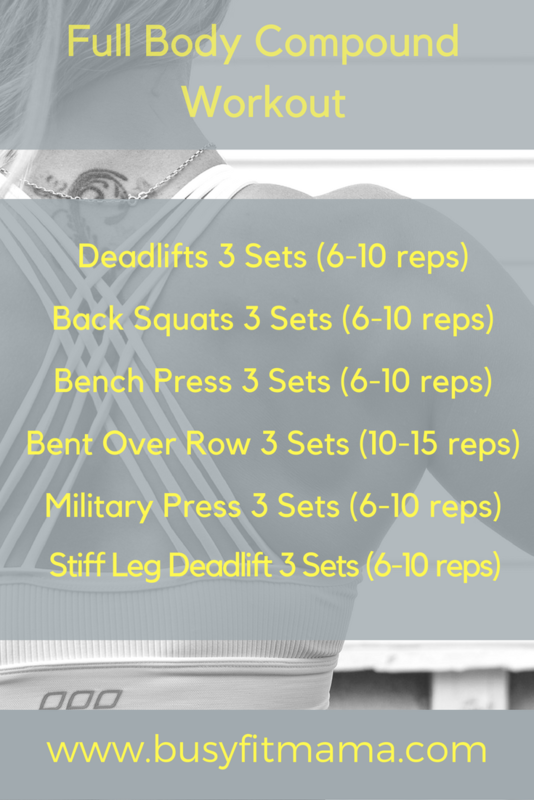 I’ve added links if you are unsure of the exercises in this workout but I would only attempt this Full Body Compound Exercise Workout if you are confident in performing them. I am not a personal trainer or medical professional. All the views expressed are my own. I am an experienced runner and train regularly at the Gym. 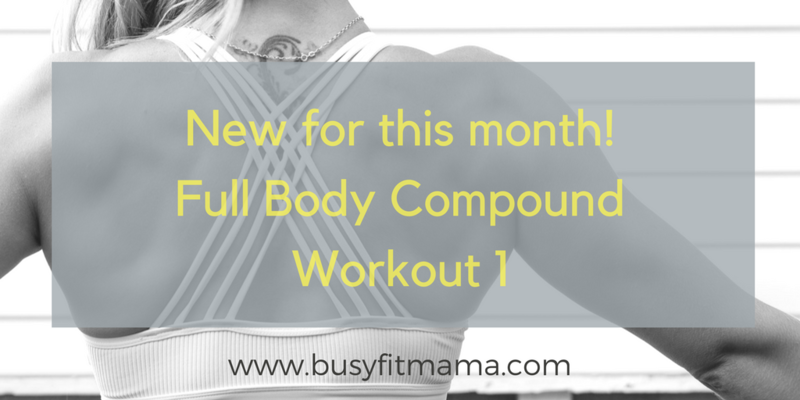 All of my workouts have been designed to suit my own fitness capabilities and goals but I am happy to share for those looking for inspiration, workout ideas or motivation. Before embarking on any form of fitness programme or if you have any medical conditions or injuries please seek professional medical advice. I’ll admit it Autumn isn’t up there as one of my favourite times of the year. 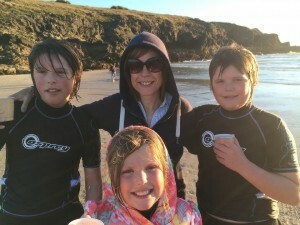 Summer can seem more of a relaxed affair and with more daylight and sunshine my mood is generally in a happy place. Then its BAAM! Back in to the routine of school and once past Halloween it’s that build up to Christmas. Saying that I do like those first initial chilly mornings, the beauty of Autumn and having the kids back at school has it’s advantages, so ok maybe it’s not so bad? For me when the nights start to draw in, the central heating goes on and my wardrobe switches to boots and sweaters it can be an excuse to start hibernating a little, switch to a stodgy diet and perhaps ease off on the running front. Developing healthy habits will help to see you through the chillier weather, help to maintain a positive attitude and, fingers crossed, stave off potential weight gain. Let’s see how many I can stick so! 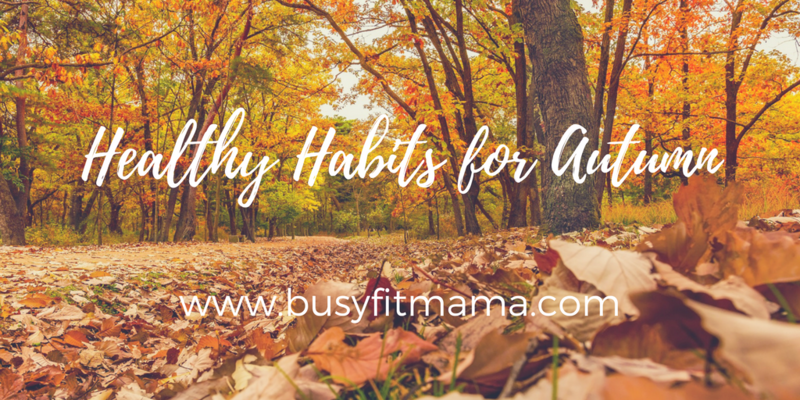 What are your health habits for Autumn?